Terry, Vince, Jim & Eric; thanks for the support and nice comments. Jim, by now you probably have figured out that the O&L is a very important part of the history of the internal combustion engine and represents some of Otto's early work. I believe this was the first successfully produced IC engine in any kind of numbers. I have had the pleasure along with some of the other list members, to stand next to one of the oldest running engines in the world; while it is running; what an amazing piece of history! This engine is now apart and undergoing a badly needed restoration; here is the link but you most likely have to be a registered member to see the pictures. Eric; unfortunately Max is not a fan of bitter beer. I got some progress pictures from Max this evening. 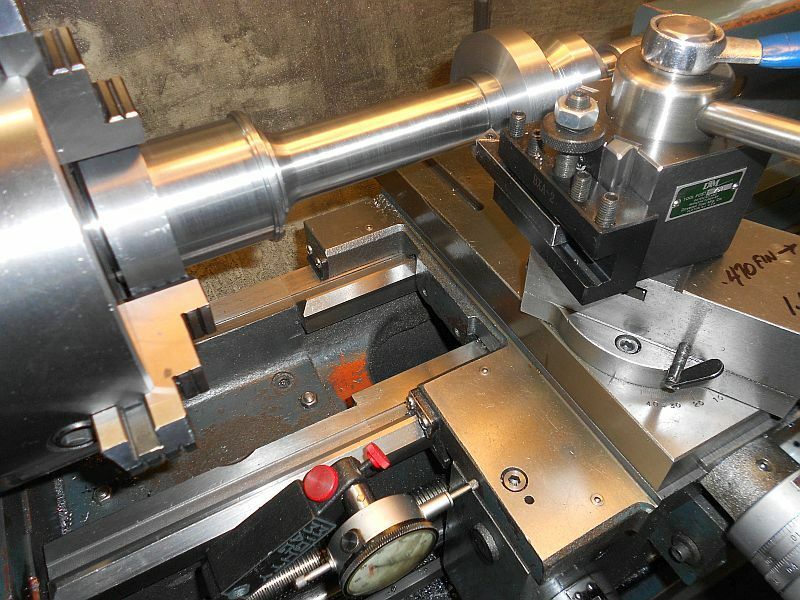 The column has been removed from the lathe and the head mounting holes are drilled and taped while there is plenty of material at the top end to clamp to. 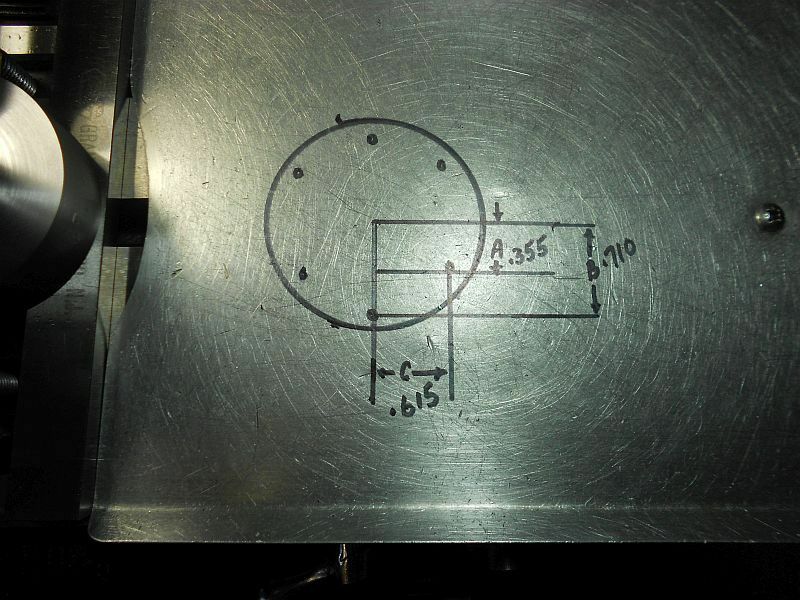 Apparently the machinist forgot to take a picture of the finished bolt pattern? Jo uses a white board; Max uses the way covers of his mill for a quick little Sharpie drawing to keep things in perspective. 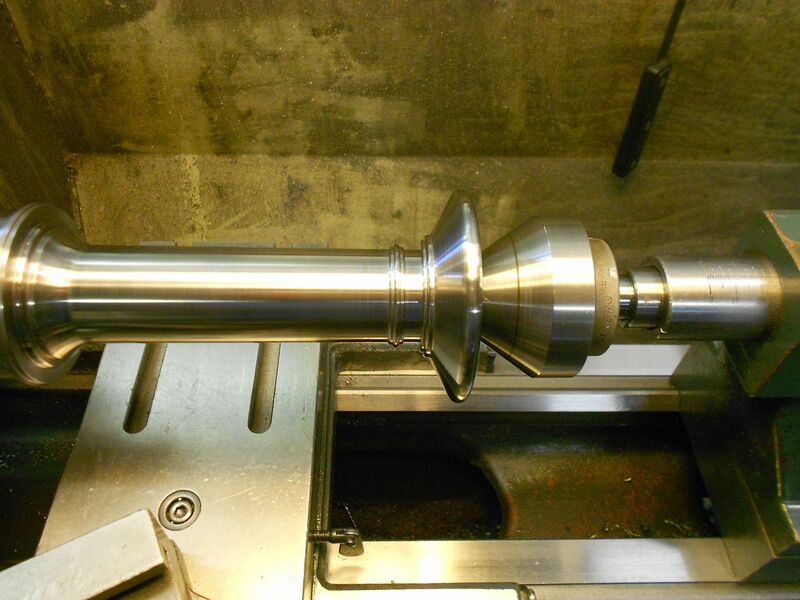 Here the column is back in the lathe getting ready to machine the taper on the upper portion of the column. Using a parting tool the upper decorative features are rouged out. Then after much work with files and sand paper this beautiful profile appears; is that gorgeous or what? Impressive, not an easy part. 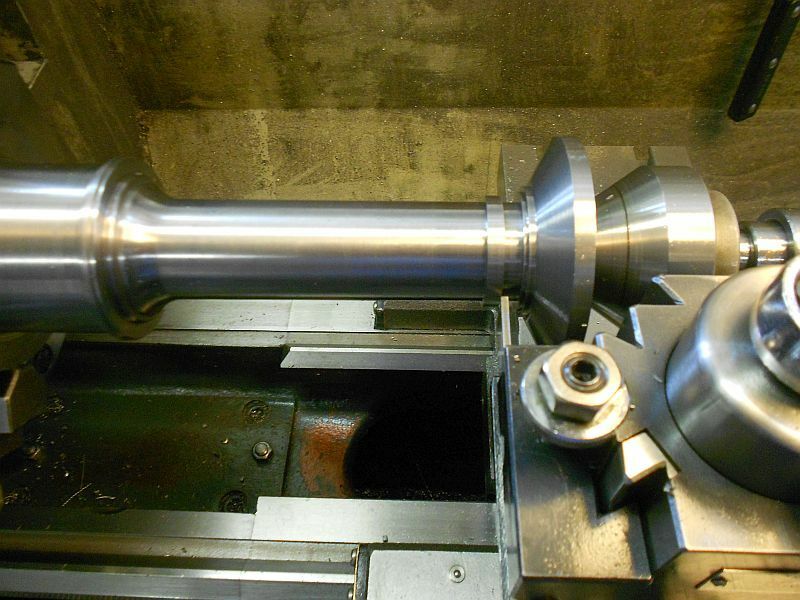 Don I'm curious what your approach might be to machine the bore in the column? I'm smiling, a few years ago a good friend of mine built the ultimate scale model 12" to the foot Otto atmospheric gas engine. Imagine that boring bar!! I can ask Dave for some pictures if anyone's interested, not wishing to derail this interesting thread. Oh and don't forget that the Otto Langen engine followed on from the success of Étienne Lenoir's gas engine. You noticed that Max has also mastered swarfless machining? 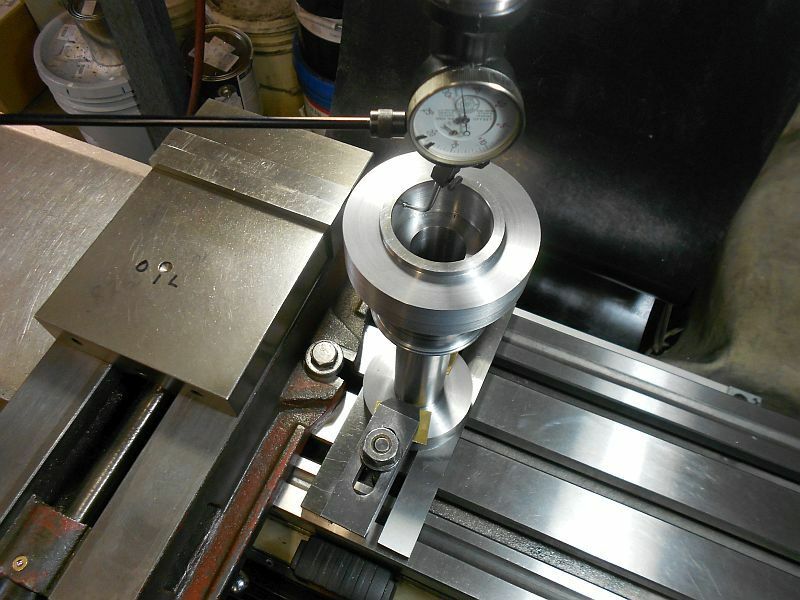 I was just thinking the other day that I've come to the realization that machining is as much art as it is science. Max's work certainly proves that. I've been reading up on this engine. Quite a history! It always amazes me how early in time some of this work was done. Most of the school history books just hit the major breakthroughs and don't talk much about the work that was done much earlier than that. I haven't run across an explanation (for dummies) of how this engine actually worked. I'm sure it's out there. Bad Behavior has blocked 14626 access attempts in the last 7 days.